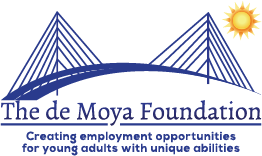 The Association of People Supporting Employment First (APSE) is devoted to meaningful employment and career advancement for people with disabilities. Our movement is the Employment First movement, and we’ve been working for decades to secure fully-integrated roles in the workplace for people with disabilities. • Increasing the participation of individuals with disabilities and their families in all aspects of community life through capacity building, advocacy, and promoting best practices. • It provides cash to meet basic needs for food, clothing, and shelter. Most parents care deeply for their children. But many families need help, and they deserve to receive that help in respectful partnerships. The Children’s Trust advocates and develops programs to meet the needs of all children and families. Different communities have different needs, and some communities need more attention. The involvement of parents and the community in planning, implementing and evaluating programs is crucial. CARD stands for the Center for Autism & Related Disabilities. Our center, based at the University of Miami and Nova Southeastern University, is one of seven state-funded, university-based outreach and support centers in Florida dedicated to optimizing the potential of people with autism spectrum disorders (ASD), dual sensory impairment, sensory impairments with other disabling conditions, and related disabilities. In addition to ASD, CARD also serves a variety of related disabilities including deaf-blindness, sensory impairments with other disabling conditions, developmental delays in children under 5 who also present with autistic-like behaviors, and genetic disorders that may co-exist with autism symptoms (e.g., Fragile X Syndrome, Rett Syndrome, Tuberous Sclerosis, Angelman Syndrome, among others).